From running the country to skydiving, this endearing and enlightening portrait explores the life and careers of George H.W. 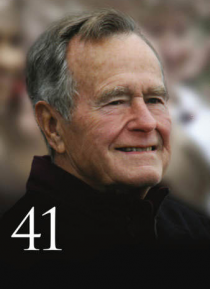 Bush, the 41st President of the United States. Filmed at his beloved summer home in Kennebunkport, Maine, this documentary offers a rare glimpse at the life and times of a living former president. Along the way, the avid fisherman reveals the history of his estate, reflects … on the highs and lows (including the loss of a 3-year-old daughter to leukemia) of his life.